As expected, it will be released the same day as the movie, and will be just one disc: https://www.amazon.com/Star-Wars-Last-John-Williams/dp/B0758KSWZK/ Currently, there's a placeholder cover, although given what the cover looked like for TFA I wouldn't be surprised if they just add "Music by John Williams" and give us that. Hello! 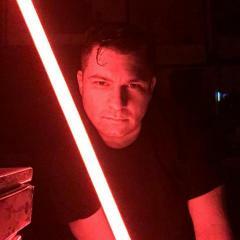 This thread is to discuss the Last Jedi score as heard in the film. No spoiler tags are needed but you're welcome to use them in the early days now before it's opened wide. @Oskar has already kicked off the discussion, you can read it here, and let's continue it here! How do you listen to The Last Jedi the most? I've finally been able to construct my ideal playlist for The Last Jedi using the OST, FYC, and Isolated Score. I've been otherwise listening to a whole bunch of edits and none of them were quite "perfect". I've finally got mine and I'm listening right now. How do you listen to The Last Jedi the most? Star Wars: The Last Jedi - For Your Consideration (FYC) Album 01 Escape (7:41) 02 Ahch-To Island (2:31) 03 The Supremacy (2:00) 04 Admiral Holdo (1:02) 05 Fun With Finn And Rose (3:03) 06 Connection (1:58) 07 Lesson One (1:59) 08 Canto Bight (2:15) 09 The Master Codebreaker (1:07) 10 The Fathiers (2:20) 11 The Cave (2:02) 12 Rey's Journey (1:35) 13 A New Alliance (5:28) 14 Holdo's Resolve (2:17) 15 Chrome Dome (2:03) 16 The Battle Of Crait (7:00) 17 The Spark (4:20) 18 The Last Jedi (5:02) 19 Old Friends (1:23) 20 Finale (9:01) TOTAL TIME - 1:06:07 F.A.Q. : FYC? What's that stand for? For Your Consideration. Basically, Disney setup a website where eligible voters for the various awards that are given out around the end of the year could learn where they could attend a screening of their films, see which awards the films were pushing for, and listen to selections of the score for Best Score nominations. For the films that had score selections, they are exactly what is heard in the film, and sometimes include music not on the commercial soundtrack albums! So the music here is different than the album? Yes! Some tracks are almost the same, but the structure of the FYC program is fundamentally different; It is a selection of music from the movie exactly as it appears in the final cut of the film, even if the music used in the film was edited from Williams' original intentions. This could mean that a track might contain an Insert Williams later wrote, where the OST presented his original version; or a track might contain less music than its OST counterpart of the scene was re-edited after the recording of the music, or even a track might contain some music artificially looped or stretched if a scene got lengethened after scoring. The FYC always reflects these non-intended conforms to final picture from start to finish. Also, the FYC presentation seems to favor cues featuring original music over ones featuring a lot of returning themes, for the most part. So does the FYC contain the complete score? No; The film has somewhere around 150 minutes of music in it. The FYC is only 66 minutes long. Which tracks contain music that wasn't on the OST? Every track is different from its OST counterpart is some way, but most notably "Admiral Holdo", "The Master Codebreaker", "Rey's Journey", and "Holdo's Resolve" are COMPLETELY new tracks, while "A New Alliance" and "The Last Jedi" feature significant music in the beginning of each track that isn't on the OST. Where can I find this FYC? http://www.waltdisneystudiosawards.com/star-wars-the-last-jedi/score I don't see a download link there; How do I download the files from Disney's site? http://www.waltdisneystudiosawards.com/media/audio/sw/score/01_ESCAPE.mp3 http://www.waltdisneystudiosawards.com/media/audio/sw/score/02_AHCH-TO_ISLAND.mp3 http://www.waltdisneystudiosawards.com/media/audio/sw/score/03_THE_SUPREMACY.mp3 http://www.waltdisneystudiosawards.com/media/audio/sw/score/04_ADMIRAL_HOLDO.mp3 http://www.waltdisneystudiosawards.com/media/audio/sw/score/05_FUN_WITH_FINN_AND_ROSE.mp3 http://www.waltdisneystudiosawards.com/media/audio/sw/score/06_CONNECTION.mp3 http://www.waltdisneystudiosawards.com/media/audio/sw/score/07_LESSON_ONE.mp3 http://www.waltdisneystudiosawards.com/media/audio/sw/score/08_CANTO_BIGHT.mp3 http://www.waltdisneystudiosawards.com/media/audio/sw/score/09_THE_MASTER_CODEBREAKER.mp3 http://www.waltdisneystudiosawards.com/media/audio/sw/score/10_THE_FATHIERS.mp3 http://www.waltdisneystudiosawards.com/media/audio/sw/score/11_THE_CAVE.mp3 http://www.waltdisneystudiosawards.com/media/audio/sw/score/12_REYS_JOURNEY.mp3 http://www.waltdisneystudiosawards.com/media/audio/sw/score/13_A_NEW_ALLIANCE.mp3 http://www.waltdisneystudiosawards.com/media/audio/sw/score/14_HOLDOS_RESOLVE.mp3 http://www.waltdisneystudiosawards.com/media/audio/sw/score/15_CHROME_DOME.mp3 http://www.waltdisneystudiosawards.com/media/audio/sw/score/16_THE_BATTLE_OF_CRAIT.mp3 http://www.waltdisneystudiosawards.com/media/audio/sw/score/17_THE_SPARK.mp3 http://www.waltdisneystudiosawards.com/media/audio/sw/score/18_THE_LAST_JEDI.mp3 http://www.waltdisneystudiosawards.com/media/audio/sw/score/19_OLD_FRIENDS.mp3 http://www.waltdisneystudiosawards.com/media/audio/sw/score/20_FINALE.mp3 or http://www.waltdisneystudiosawards.com/play.php?sub=sw&file=01_ESCAPE.mp3 http://www.waltdisneystudiosawards.com/play.php?sub=sw&file=02_AHCH-TO_ISLAND.mp3 http://www.waltdisneystudiosawards.com/play.php?sub=sw&file=03_THE_SUPREMACY.mp3 http://www.waltdisneystudiosawards.com/play.php?sub=sw&file=04_ADMIRAL_HOLDO.mp3 http://www.waltdisneystudiosawards.com/play.php?sub=sw&file=05_FUN_WITH_FINN_AND_ROSE.mp3 http://www.waltdisneystudiosawards.com/play.php?sub=sw&file=06_CONNECTION.mp3 http://www.waltdisneystudiosawards.com/play.php?sub=sw&file=07_LESSON_ONE.mp3 http://www.waltdisneystudiosawards.com/play.php?sub=sw&file=08_CANTO_BIGHT.mp3 http://www.waltdisneystudiosawards.com/play.php?sub=sw&file=09_THE_MASTER_CODEBREAKER.mp3 http://www.waltdisneystudiosawards.com/play.php?sub=sw&file=10_THE_FATHIERS.mp3 http://www.waltdisneystudiosawards.com/play.php?sub=sw&file=11_THE_CAVE.mp3 http://www.waltdisneystudiosawards.com/play.php?sub=sw&file=12_REYS_JOURNEY.mp3 http://www.waltdisneystudiosawards.com/play.php?sub=sw&file=13_A_NEW_ALLIANCE.mp3 http://www.waltdisneystudiosawards.com/play.php?sub=sw&file=14_HOLDOS_RESOLVE.mp3 http://www.waltdisneystudiosawards.com/play.php?sub=sw&file=15_CHROME_DOME.mp3 http://www.waltdisneystudiosawards.com/play.php?sub=sw&file=16_THE_BATTLE_OF_CRAIT.mp3 http://www.waltdisneystudiosawards.com/play.php?sub=sw&file=17_THE_SPARK.mp3 http://www.waltdisneystudiosawards.com/play.php?sub=sw&file=18_THE_LAST_JEDI.mp3 http://www.waltdisneystudiosawards.com/play.php?sub=sw&file=19_OLD_FRIENDS.mp3 http://www.waltdisneystudiosawards.com/play.php?sub=sw&file=20_FINALE.mp3 http://www.waltdisneystudiosawards.com/play.php?sub=sw&file=01_ESCAPE.mp3 http://www.waltdisneystudiosawards.com/play.php?sub=sw&file=02_AHCH-TO_ISLAND.mp3 http://www.waltdisneystudiosawards.com/play.php?sub=sw&file=03_THE_SUPREMACY.mp3 http://www.waltdisneystudiosawards.com/play.php?sub=sw&file=04_ADMIRAL_HOLDO.mp3 http://www.waltdisneystudiosawards.com/play.php?sub=sw&file=05_FUN_WITH_FINN_AND_ROSE.mp3 http://www.waltdisneystudiosawards.com/play.php?sub=sw&file=06_CONNECTION.mp3 http://www.waltdisneystudiosawards.com/play.php?sub=sw&file=07_LESSON_ONE.mp3 http://www.waltdisneystudiosawards.com/play.php?sub=sw&file=08_CANTO_BIGHT.mp3 http://www.waltdisneystudiosawards.com/play.php?sub=sw&file=09_THE_MASTER_CODEBREAKER.mp3 http://www.waltdisneystudiosawards.com/play.php?sub=sw&file=10_THE_FATHIERS.mp3 http://www.waltdisneystudiosawards.com/play.php?sub=sw&file=11_THE_CAVE.mp3 http://www.waltdisneystudiosawards.com/play.php?sub=sw&file=12_REYS_JOURNEY.mp3 http://www.waltdisneystudiosawards.com/play.php?sub=sw&file=13_A_NEW_ALLIANCE.mp3 http://www.waltdisneystudiosawards.com/play.php?sub=sw&file=14_HOLDOS_RESOLVE.mp3 http://www.waltdisneystudiosawards.com/play.php?sub=sw&file=15_CHROME_DOME.mp3 http://www.waltdisneystudiosawards.com/play.php?sub=sw&file=16_THE_BATTLE_OF_CRAIT.mp3 http://www.waltdisneystudiosawards.com/play.php?sub=sw&file=17_THE_SPARK.mp3 http://www.waltdisneystudiosawards.com/play.php?sub=sw&file=18_THE_LAST_JEDI.mp3 http://www.waltdisneystudiosawards.com/play.php?sub=sw&file=19_OLD_FRIENDS.mp3 http://www.waltdisneystudiosawards.com/play.php?sub=sw&file=20_FINALE.mp3 That's a really low bitrate; Is there any chance its available uncompressed somewhere? Disney should be mailing out pressed physical CDs with the FYC program to Academy music department voters sometime soon. Usually not long after that, they begin turning up on ebay, and not long after that, lossless rips appear online. NOTE: It is against the board's rules to ask for a lossless rip in the public forum. Use the PM System or go to other websites for that discussion! Posts asking for illegal downloads will be deleted! Simple Comparison FYC 01 Escape (7:41) FYC 02 Ahch-To Island (2:31)) ≈ OST 02 [1:43-end] (2:40) Ahch-To Island FYC 03 The Supremacy (2:00) ≈ OST 04 The Supremacy [0:08-2:00] (1:52) FYC 04 Admiral Holdo (1:02) = Unreleased FYC 05 Fun With Finn And Rose (3:03) [0:00-1:05] (1:05) = Unreleased [1:05-end] (1:58) ≈ OST 05 Fun With Finn And Rose [0:25-end] (2:09) FYC 06 Connection (1:58) ≈ OST 06 Old Friends [2:36-end] (1:52) FYC 07 Lesson One (1:59) ≈ OST 08 Lesson One (2:10) FYC 08 Canto Bight (2:15) ≈ OST 09 Canto Bight (2:38) FYC 09 The Master Codebreaker (1:07) = Unreleased FYC 10 The Fathiers (2:20) ≈ OST 11 The Fathiers (2:42) FYC 11 The Cave (2:02) ≈ OST 12 The Cave [0:00-1:36] (1:36) FYC 12 Rey's Journey (1:35) = Unreleased FYC 13 A New Alliance (5:28) [0:00-1:24] (1:24) = Unreleased [1:24-3:19] (1:55) ≈ OST 14 A New Alliance [0:10-1:51] (1:41) [3:19-4:00] (0:41) = Unreleased [4:00-end] (1:28) ≈ OST 14 A New Alliance [1:51-end] (1:22) FYC 14 Holdo's Resolve (2:17) = Unreleased FYC 15 Chrome Dome (2:03) ≈ OST 15 "Chrome Dome" (2:03) FYC 16 The Battle Of Crait (7:00) FYC 17 The Spark (4:20) [0:00-0:46] (0:46) = Unreleased [0:46-end] (3:34) ≈ OST 17 The Spark (3:36) FYC 18 The Last Jedi (5:02) [0:00-1:15] (1:15) = Unreleased [1:15-end] (3:47) ≈ OST 18 The Last Jedi (3:04) FYC 19 Old Friends (1:23) ≈ OST 19 Peace and Purpose [1:44-end] (1:22) FYC 20 Finale (9:01) Approx amount of unreleased music = Track-by-track breakdown / editing guide FYC 01 Escape (7:41) FYC 02 Ahch-To Island (2:31) OST equivalent: 02 Ahch-To Island [1:43-end] (2:40) This is the music for Rey asking Luke for help, and then following him on his "daily routine". The FYC features the proper clean opening as heard in the film, while on the OST, the beginning of the cue is slightly abridged, and mixed over the ending of the previous Ahch-To cue that's in the same track. However, the OST features a section of music (3:22-3:27) that is edited out of the FYC track at 1:40, meaning the film was probably slightly shortened after scoring around that area. 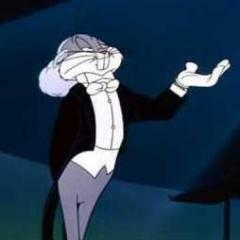 So, to create a proper complete version, you'd want to take the cleaning opening of the FYC track, then segue over to the OST track as soon as you can and continue with the OST track all the way to the end. FYC 03 The Supremacy (2:00) OST equivalent: 04 The Supremacy [0:08-2:00] (1:52) This is The Supermacy showing up and Leia realizing they were tracked through lightspeed, and Kylo firing on their ship. The FYC from 0:25-0:30 is longer than the same OST passage (0:35-0:36), though I don't know of the OST is microedited, or if the OST is how it was recorded and they had to artificially stretch it for the final film. The FYC has a small edit around 1:14, and the OST has a small edit around 1:18 (or, the OST is the proper recording, and the FYC Is looped in that area). Finally, the FYC seems to have a loop 1:39-1:43, but then omit material around 1:53. The FYC track seems to artificially fade the final string sustain down early, but the OST segues to another cue when it ends, so we don't have a good ending anywhere. For a custom edit, I'd ignore this FYC track entirely and just use the whole Supremacy OST track. FYC 04 Admiral Holdo (1:02) OST equivalent: None - Completely new track! This is Admiral Holdo being introduced as the new leader, and her initial speech to the Resistance. FYC 05 Fun With Finn And Rose (3:03) OST equivalent: 05 Fun With Finn And Rose [0:25-end] (2:09) The OST from 0:00-0:25 contains the cue for Rose telling Finn about her sister, then realizing he's trying to escape and stuns him (it only contains the Paige story portion of the cue, though). This cue isn't on the FYC at all, so you'd need to break it out into its own track if you want to keep it (you can call it "You Are a Hero" or "That's a Real Hero". I wouldn't call it "Finn Meets Rose" though, because THAT cue comes before this one and isn't on the FYC or the OST at all). In the film, that cue segues immediately to the next cue, which covers which covers Finn and Rose coming up with their plan and telling it to Poe. This cue appears in full on the FYC track, while the OST version omits the opening minute due to it seguing from partway through the sister story cue to partway through the planning cue. So, Option 1 is to break out OST 0:00-0:25 into its own track, and then use FYC 05 for the next cue in its own track. Option 2 would be If you don't want to do WAV editing, then its a a personal preference if you rather use the OST track (Paige story opening -> incomplete planning cue) or the FYC track (no Paige story at all, but complete planning cue). FYC 06 Connection (1:58) OST equivalent: 06 Old Friends [2:36-end] (1:52) This cue covers Ren and Rey's Force connection ending because Luke has shown up, and then him taking her to their first lesson up the cliffside. The FYC provides the full proper clean opening, while the OST omits the opening 4 seconds and is segued from another cue in the same track. Otherwise they are basically the same, but the FYC might be slightly edited down in one spot, so I'd transition from the FYC's clean opening to the OST track as early as possible then just use that from there to the end. FYC 07 Lesson One (1:59) OST equivalent: 07 Lesson One (2:10) This is the music for Rose feeling The Force under Luke's training, then sensing the dark place underneath the island. The FYC and OST tracks are pretty much identical to each other, though the FYC seems to have a few edits and a loop around 1:31, so I'd ignore the FYC track and just use the OST track. FYC 08 Canto Bight (2:15) OST equivalent: 08 Canto Bight (2:38) Both tracks are roughly identical, though the FYC seems to be edited down in a bunch of spots, and fades out early instead of having the proper ending the OST track has. However, one spot on the FYC includes an intended silence that is segued past in the OST version - compare 1:11 on the FYC to 1:22 on the OST. An ideal edit would be the entire OST track, but with that section restored properly from the FYC track. FYC 09 The Master Codebreaker (1:07) OST equivalent: None - Completely new track! Rose tells Finn about growing up with Paige in a mining system the First Order took over, and how the rich people in this casino are profiting from the war, before they are interrupted by BB-8 and head into the casino to see the master codebreaker at a table. FYC 10 The Fathiers (2:20) OST equivalent: 11 The Fathiers (2:42) This FYC track is more or less the same as the OST track, just shortened in many spots (like the sequence was tightened up after the cues were recorded). I'd recommend just ignoring the FYC track and using OST track. Of note is that this is a rare case of the FYC NOT matching the film exactly; The Fathiers sequence in the film is comprised of 3 separate cues, and both the OST AND FYC track contain the 1st and 3rd cues only, completely omitting the second cue (a brief piano source cue). The end of the first cue and start of the third is at 0:56 of the OST track or 0:51 of the FYC track. FYC 11 The Cave (2:02) OST equivalent: 12 The Cave [0:00-1:36] This covers Rey in the cave seeing multiple images of herself. The FYC seems to have a proper clean ending as recorded, but the OST correctly segues to the next cue exactly as the film does anyway, so the clean ending isn't really needed except for personal preference. It's interesting to compare the FYC to OST. They are approximately the same music, but the FYC version is longer because of many differences throughout. In some spots it seems like the FYC might be artificially stretched / looped, while in others the FYC has material that the OST seems to have microedited out. It sounds fine though, so for a complete edit you could use the FYC track and just mix the rest of the OST track (1:36-end) over the clean ending the FYC has. FYC 12 Rey's Journey (1:35) OST equivalent: None - Completely new track! Rey instructs Chewie what to tell Finn if he finds him, then hops in her escape pod and heads to The Supremacy, where Kylo meets her in the landing bay. This seems to have the proper clean opening and ending as recorded, though in the film it segues from and to other unreleased cues. FYC 13 A New Alliance (5:28) OST equivalent: 14 A New Alliance [0:10-end] (3:03) The OST track opens (0:00-0:10) with the music for Rey being brought to Snoke, a cue that isn't on the FYC at all. The FYC track is a complete presentation of a long uninterrupted sequence of music from a bit later in the film, some of which is on the OST and some of which is not. FYC 0:00-1:24 (1:24) covers Snoke dropping Rey to the ground after torturing her, taunting her that he will kill Luke after they destroy the Resistance, showing her the transporters being destroyed, and bringing her in front of Kylo. This isn't on the OST at all. FYC 1:24-3:19 (1:55) covers Snoke telling Ren to kill Rey then taunting Rey some more; Kylo killing Snoke then Kylo and Rey beginning to fight the guards; and a bit of Poe on the transporters. This is on the OST from 0:10-1:51 (1:41), though the OST seems to edit out material at around 0:48, so the FYC seems to be the superior choice. FYC 3:19-4:00 (0:41) covers a bit of Finn talking to DJ and some more Rey/Ren guards fighting. This isn't on the OST at all. FYC 4:00-end (1:28) covers Rey and Ren finishing off the guards. This is on the OST from 1:51-end (1:22). There doesn't seem to be any edits in either version, which makes it easy to just use the FYC track all the way to the end. FYC 14 Holdo's Resolve (2:17) OST equivalent: None - Completely new track! This covers some space action with the Resistance cruiser preparing to jump to lightspeed, Hux ordering his men to keep firing on the transports, Phasma ordering a more painful death for Finn and Rose, and then Holdo turning the cruiser around and ramming it into the Supremacy. FYC 15 Chrome Dome (2:03) OST equivalent: 15 "Chrome Dome" (2:03) This covers the aftermath of the explosion, Finn and Rose coming out of the rubble, and Finn fighting Phasma. The FYC and OST versions are about the same, though the FYC from 0:56-1:00 is a bit longer than the equivalent OST passage (0:53-0:55), the FYC has an edit that removes material at 1:09, the FYC from 1:12-1:18 is longer than the equivalent OST passage (1:15-1:19), and the FYC is longer from 1:27-1:32 compared the OST 1:28-1:30. Overall I'd say go with the OST version, because the bit in the OST the FYC skips past is actually unique material, while all the parts where the FYC is longer are basically just sustaining bits in between the action for longer. FYC 16 The Battle Of Crait (7:00) FYC 17 The Spark (4:20) OST equivalent: 17 The Spark (3:36) The opening of the FYC track (0:00-0:46) is not included on the OST track, and begins almost immediately after The Battle of Crait in the film. It covers Rose telling Finn that love is how they'll win & kissing him, and Ren telling Hux to advance on the base. The remainder of the FYC track (0:46-end [3:34]) is basically the same as the OST track, and covers Luke arriving, talking to Leia, then marching out to face the First Order. So you can just use the entire FYC track and ignore the OST track for a complete edit. FYC 18 The Last Jedi (5:02) OST equivalent: 18 The Last Jedi (3:04) The opening of the FYC track (0:00-1:15) is an unreleased cue that covers the Resistance following the crystal critters into the caves, Rey hovering over and scanning for their location, and then both parties arriving at opposite sides of the stone-piled exit. The rest of the FYC track is roughly the same as the OST track, and covers Kylo and Luke's final showdown. The FYC track is longer though, because the OST appears to be microedited in a few spots - there's a section microedited out of the OST at 0:15 that is intact in the FYC from 1:30-1:53, then another section microedited out of the OST at 0:22 that is intact in the FYC from 2:00-2:09, and finally compare OST 1:26-1:30 to FYC 3:14-3:22 and OST 1:45-1:48 to FYC 3:38-3:44. So overall, I'd again recommend just using the entire FYC track and ignoring the OST track in a complete edit. FYC 19 Old Friends (1:23) OST equivalent: 19 Peace and Purpose [1:44-end] (1:22) The OST track from 0:00-1:44 is portion of a cue covering Luke's death and Kylo matching into the base and finding it empty. There's a whole chunk of the cue taken out around 1:28, but unfortunately the cue isn't on the FYC at all so can't be restored using it. The FYC track is only the next cue, covering the reunion of Rey & Chewie with Poe & everyone else on the Millennium Falcon, and Rey telling Leia Luke's death felt like it was full of Peace and Purpose (which makes it so odd they retitled the track for the FYC), and the ship taking off into hyperspace. There's no real difference between the two versions, so again just ignore the FYC track and use the full OST track. FYC 20 Finale (9:01) OST equivalent: 20 Finale (8:28) The first cue in this track (the Canto Bight kids telling their story and then being kicked outside) is microedited on the FYC around 0:0:06 (You can hear what was taken out from about 0:06-0:18 of the OST version). But then on the FYC, the cue is allowed to end in full, there's a brief pause, and the next cue begins at 0:24; On the OST however, this cue is crossfaded into the next one at 0:36. So its personal preference if you want to use the separation or the crossfade, but you have to make sure to use the OST track for the beginning of the cue because of the material taken out of the FYC/film version. To compare the rest of either track, I found it easiest to do it as a table, I hope you don't mind: The next cue (the sunset scene before the end credits) and then the whole beginning of the end credits up through the piano rendition of Leia's Theme is about the same on both versions. This gets us to 2:44 of the FYC or 2:56 of the OST, and then things start to differ. Both start out the same, from 2:44-3:15 of the FYC / 2:56-3:27 of the OST but covering the same arrangement of the Luke/Rey/Island theme, but the OST has a sudden edit at 3:27 skipping over what's in the FYC from 3:15-4:05; Then both are the same again from OST 3:27-3:34 / FYC 4:05-4:13. Simple FYC/OST Combo Playlist, no Editing Required 01 OST 01 Main Title and Escape (7:26) OR FYC 01 Escape (7:41) 02 OST 02 Ahch-To Island (4:23) 03 OST 03 Revisiting Snoke (3:29) 04 OST 04 The Supremacy (4:01) 05 FYC 04 Admiral Holdo (1:02) 06 FYC 05 Fun With Finn And Rose (3:03) 07 OST 06 Old Friends (4:29) 08 OST 08 Lesson One (2:10) 09 OST 09 Canto Bight (2:38) 10 FYC 09 The Master Codebreaker (1:07) 11 OST 10 Who Are You? (3:04) 12 OST 11 The Fathiers (2:42) 13 OST 12 The Cave (3:00) 14 OST 13 The Sacred Jedi Texts (3:33) 15 FYC 12 Rey's Journey (1:35) 16 FYC 13 A New Alliance (5:28) 17 FYC 14 Holdo's Resolve (2:17) 18 OST 15 "Chrome Dome" (2:03) 19 OST 16 The Battle Of Crait (6:48) OR FYC 16 The Battle Of Crait (7:00) 20 FYC 17 The Spark (4:20) 21 FYC 18 The Last Jedi (5:02) 22 OST 19 Peace And Purpose (03:08) 23 OST 20 Finale (8:28) OR FYC 20 Finale (9:01) BONUS TRACK 24 OST 07 The Rebellion Is Reborn (4:00) (Concert Arrangement) TOTAL TIME - 1:29:17 (or 1:30:17) Longer Chronological Edit of OST + FYC, In-Track Editing Required: Coming soon! FYC / OST Comparison spreadsheet Coming soon! ALL UPDATES / CORRECTIONS WELCOME!!! Admin note: Click here to jump right to discussion of the actual FYC Album, after all the hype talk ACTUAL ALBUM DISCUSSION ~~~~~~~~~~~~~~~~~~~~~~~~~~~~~ Original Main Post ~~~~~~~~~~~~~~~~~~~~~~~~~~~~ Hello, The Force Awakens opened (in the US) on Friday, December 18th, 2015. On Monday, December 21st, 2015, we discovered that Disney's Awards consideration side had added an album of score that could be streamed or download that was different than TFA's OST. Soon after, physical CDs pressed of the same music began showing up on ebay (as they had been mailed out to voting members of The Academy or other awards ceremonies) as well. I am hopeful Disney will do the same this year for The Last Jedi. If they do not, I will close this thread. If they do, I wanted to start the thread now to contain all information about the album like we had for TFA. I'll update this main post with all information about the FYC album if we get one!. That was fast! Digital piano arrangements (normal and easy-piano) are available through sheetmusicdirect. They've listed the following pieces: Main Title and Escape Ahch-To Island The Supremacy Fun With Finn and Rose Old Friends The Rebellion is Reborn Canto Bight The Sacred Jedi Texts The Battle of Crait The Spark The Last Jedi Peace and Purpose Music Notes has only listed "Main Title and Escape" and "The Last Jedi" at this stage. I think I'll wait till it's published as a book and buy it. Hello! If you've heard the Last Jedi OST album and would like to discuss the music on it, this the place! The original thread can still be used to talk about receiving your physical copy, differences between various editions, where to buy or stream it online, etc, but here, it's all about the music. Starting the thread now because I found this on youtube, and I haven't checked yet to see if its real or fake. So, I've seen the film twice by now. Seen other reviews for context. Went with people who aren't informed in film criticism, saw what they thought. Now, I'll try to give it as professional a review as I can muster, without spoilers and in under 2,000 words. Long story short: I like the movie and I think its quite good, but nothing beyond that, really. It has too many issues with pacing, the implementation of humor and the use of some of its characters to be "great" in any real way. Now, short story long: Cinematography The visuals are very striking. I gave JJ Abrams kudos for slowing down his acrobatic camerawork for The Force Awakens in order to allow us to appreciate the setting, but here its taken to a whole other level: the film opens with a (virtual) long take down towards a fleet, and such long takes permeate much of the first act. Its a wise move not just in terms of allowing us to appreciate the corners of the frame (as opposed to just the focus) but also as a juxtaposition to the faster camerawork and cutting typical of a climax. Too much too often (a-la a Michael Bay film) and you become saturated in it. Simple, but wise nonetheless. As much as this film reflects Johnson's voice, there's an attempt to follow up in Gareth Edwards footsteps visually, with shots of big star-ships protruding out of the darkness of space, compared to the fully visible ships showcased in previous films. The action scenes especially are staged with a wink towards Samurai films (which were among George Lucas original inspirations) with flashy choreography (that still feels physical, unlike Revenge of the Sith) and exceptionally well-framed wide shots. There are a couple of faux-documentary touches that have plagued the series ever since Attack of the Clones, which I didn't appreciate and even a few shots out of focus, but no matter. There's striking use of lighting on-board the Dreadnaught, making it feel like a submarine. The white and-red planet already looked striking in the trailer, but its somewhat undone when the director has a character comment on it: "oh, its salt." There's some clever editing here. When Luke asks about Han, the film cuts to Kylo Ren, his murderer. There's cross cutting between the faces of Leia and Kylo that makes good use of the Kuleshov Effect. However, in looking at the various storylines that this film juggles, the editing ultimately fails to find a right balance between them all, a point we'll soon delve into. Production Value The film could do with a bit more polish: Many of the creatures in the film are brought to life via puppetry, but its often very obvious: It happens in some shots of the creatures on Luke's island and during the (brief) appearance of a certain character. Speaking of those creatures, they're not as annoying as previous creatures in this universe, but they're hardly essential to the film. Johnson stated that he wanted the island to feel alive, and that's on point, but the film features two or three different types of creatures just on the island and the scenes involving them, which are used to infuse the Luke-Rey storyline with some excessive humor, contribute to the film's running time to little effect. We could have done with just the caretaker-creatures. For a film series that has been taking pride of late in its reliance on practical effects, there's some shots of obvious CG when some of our characters find themselves afield in the red-and-white planet, and during a fight sequence with Phasma. In other cases, the filmmakers tried to mask the CG by darkness and extreme color grading that makes it very hard to see anything. 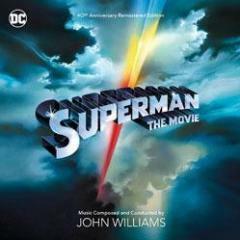 The film sounds great, and John Williams' score is given much more presence in this. The main new theme, pertaining to the character of Rose, is a welcome addition to Williams catalogue, but the movie is otherwise thin on themes and ends up rehashing themes from the previous film, as well as The Force theme, often in very familiar settings. Johnson's temp track choice, which is apparently heavy on Williams' own score to Revenge of the Sith, is evident through the score. Characters The characters continue to be compelling. The acting is mostly strong, Johnson's superior direction shining through especially in the performance of the older cast (this is possibly the best Mark Hamil has even been, in any role), but strangely the outright corrupt villains - Snoke, Hux, Phasma and the occasional admiral - are really over-the-top, and are given very little to do. Its easily the worst we've seen of the otherwise outstanding Andy Serkis. Other characters such as Del Toro's DJ or Dern's Holdo are well-acted, but nonetheless do not feel fulfilled. Its become a fashion for films to feature a large amount of characters to evoke grandeur, but without sufficiently sly writing and ample screen time, they become too many, and most of them end up as mere figures, as opposed to a realized character. This film suffers for it. Plot and Story Unlike the previous entry, this film is original. There are nods to other films, but they're all appropriate, unless one is of the opinion that this film should go out of its way to flat-out ignore the previous entries. There's one moment which feels like fan service, because the film goes so far out of its way as to stage a fake-out death of a major character in order to create said moment. There's a fair bit of Lord of the Rings blood to this film (one scene made me want to call out for Grond), and the fake-out death is as cheap a trick here as it was there. Implementation of humor Gladly, this film somewhat subverts at least one such expectation from a "middle chapter' film, which is the darkness of tone. Yes, this film is more "serious" than The Force Awakens, and its deals with themes of murky morals, but its also very funny. Casual humor can work very well to leverage suspense, even in harrowing pieces of cinema. The first piece of dialogue in this film is of a comedic nature, and it goes on for quite a while. The humor certainly worked if my venue is of any indication, but it isn't always casual: its doesn't necessarily grow out of the situation each time, and it often overstays its welcome. Structure and Pace To return to a "long story short", there lies the main problem of this film. Its too long, and this is coming from someone whose most revered films are long films: Nolan's Batman films, Braveheart, and above all, the Middle Earth films, especially the longest chapter which - in its extended form - clocks in at nearly twice the length of this film. Part of the issue here is how out-of-character for the franchise this film's length is. Yes, its on par with Attack of the Clones, but that's the worst film of the series, and its screen-time certainly doesn't help, so its hardly a good example. The issue isn't actually so much of outright screen-time, its a structural problem in the script: that's another aspect of "middle chapters" which this film doesn't subvert. On the outside, there's nothing wrong with the structure of the film: it has a clear-cut structure with an opening action sequence to keep us pumped through the first act which follows, than a long second act in two halves (with a twist introduced in the midpoint) and a third act that concludes the film. The opening action sequence works well enough. Thankfully, its not a single scene but a drawn-out sequence. Not so thankfully, though, its too drawn out. The demise of a figure from the resistance (whose significance is only to be revealed later) is treated to a long, elegiac death scene, tenfold the length of Han Solo's death in The Force Awakens; the aforementioned comedic beat in that sequence is way too long, there's a lot of exposition and fussing around with technology: fuel, tracking technology, light-speed, dreadnoughts, etc. Its missing the point of the Star Wars setting: "A long time ago" - it owes a lot more to The Lord of the Rings than it does to anything written by Gene Roddenberry. Its not supposed to make sense in terms of technology, only to feel "used". But the core issue isn't with the first act. More often than not, in fact, its not a long first act that merits accusations of bloat: The original Star Wars clocks at forty-five minutes before Luke sets off with Ben. The audience accepts the first act as buildup, and is still hanging unto the opening action sequence, which promises more action down the line, and the long first act evokes the sense of an epic journey. Its when the first half of the second act slugs, however, that's when audiences will start groaning. Once a goal is established for our characters and they set out to it, we expect the film to kick off, but if it starts only to stall again - that's when people will be checking their watches. Use of action After the opening action scene, the film is very light on action. There is peril, but there are only two more action set-pieces: one involving Kylo Ren in the midpoint, and another one in the end of the third act on that white-and-red planet. Both are well made but are too few and too far in between, which makes this film feel excessively pensive. These action scenes, and the film as a whole, suffers from the non-linear structure. We've grown accustomed to films, especially middle chapters of trilogies, trafficking in multiple story-lines. Done right, it heightens suspense. But once you move beyond two storylines and - more importantly - once you have all those storylines running through the entire film, you risk creating a fragmented film. Where in Empire Strikes Back, we cut back to Leia and Han every time when the audience craves action, here we cut from the action and drama to this film's version of Monte Carlo. Instead of one storyline elevating another, here one storyline pulls the others down. When we move from this to the action scenes, all the storylines are firing simultaneously, and it becomes too much. Think about the finale of The Dark Knight Rises, where we have a battle in the streets, a dooms-day-device in need of deactivation, a fight scene with Batman, an attempted evacuation, a fake character-death and major reveals all happening simultaneously, and it does a disservice to the sequence as a whole. Here it happens twice, with one of them only being halfway into the film. The film peaks so high with that action set-piece, that the next one almost feels redundant. The former action scene was apparently difficult for the filmmakers to come to grips with, and it involves some of the worst tricks in the Star Wars arsenal coming to the aid of our heroes: namely, contrivance and incompetence on the behalf of the villains. The latter action scene is much more competent, but is surprisingly thin on Rey's presence, because it doesn't serve to further her arc (it having already concluded at the midpoint) but rather Luke's. One can imagine that Carrie Fisher's death informed the editing choices of this set-piece, and there's a little bit of poignancy to it. Sadly, rather than end here, the film has two scenes that almost feel like the sort of scenes you'd see throughout the credits of a movie, with the latter not featuring our characters in any capacity. Surprises vs. Planting and Payoff Another structural problem involves the use of planting and payoff. The Empire Strikes Back has given fans of the series an appetite for surprising twists. Writer-Director Rian Johnson was so eager to provide us with such twists that in doing so his script forgoes the mechanism of planting and payoff. This film waits until the very end to showcase a new ability made possibly through The Force, and while it can be seen as related to an ability showcased at length earlier in the film, it comes off as something of a Deus-ex-Machina, due to lack of being set-up well enough. As part of a trilogy which is supposed to conclude the story of the main Star Wars episodes, this film feels more conclusive than middle chapters usually do. In a way, its appropriate given the way the last film ended: you can't end two of three films in a cliffhanger. Neverthelss, one could have wished for these films to be shot simultaneously like the Middle Earth features to create better continuity. With Abrams returning to conclude the trilogy, Johnson's entry seems destined to remain the odd film out due to his unique voice shining through. In this thread you can openly discuss The Last Jedi with no spoiler blocks at all, but here in the early days before wide release it's ok if you want to block certain things. LAST WARNING!!! SPOILERS ALLOWED BEYOND THIS POINT!!! The Last Jedi Where do you rank the score for "The Last Jedi"? Where do you rank John Williams' music for "The Last Jedi" among his previous scores for the 'Star Wars' films? The Last Jedi opened in the USA tonight, and in addition to the standard 7:00 pm showings, there was also a 6:00 pm showing that including free snacks, some swag, and exclusive visual content before the main film. Many thought the visual content would be a look at Solo: A Star Wars Story, so you can imagine my surprise when, after a spoken introduction recording by Rian Johnson, we were treated to a 5-or-so minute long tribute to Williams, and a look at his work on The Last Jedi. There weren’t any specific new things to me - it was mainly people praising Williams, and Williams talking about his process (still using paper and all). There was a shot of him and Daisy Ridley hugging, which was cute with Williams’ little crush in mind. There was also a beautiful statement of Leia’s Theme (EDIT: was Luke and Leia’s theme, got mixed up in the excitement of the moment haha!). Williams did touch on the topic of Episode IX right at the end. He said he hasn’t thought about it yet, but that he hopes his time with the Saga isn’t over. Hopefully this gets officially posted online, or is included in the Blu-Ray! Mark Hamill on John Williams VARIETY Interview! http://variety.com/2018/film/news/mark-hamill-on-star-wars-music-composer-john-williams-1202659494/ John Burlingame did another write up on John Williams and this time talked to STAR WARS actor Mark Hamill. What was supposed to be a five minute chat ended up in much longer interview that it warranted a new spin off article to what Jon did yesterday. After reading this I sent this message to Jon Burlingame: 'He is the entire cast ' What a great and humble way of (showing) respect to our Maestro: Williams. I'm so moved. And it appears that the same quote left Jon Burlingame in quite an awe. He responded back to me: "I was so taken with these thoughts that I felt I simply had to write a separate story. The plan had only been to get him on the phone for five minutes to confirm what I had heard about his admiration for the Maestro. But boy, that last quote sealed it for me"
How did you feel about The Last Jedi? It has been roughly a month since The Last Jedi hit theaters in December last year, and since its release, it has certainly caused waves and division among the Star Wars fanbase and the public in general. While plenty of people thoroughly enjoyed the film, there are a good deal of those that disliked it, and even some who call for its removal from the franchise's overall canon. How did you feel about the latest installment of the Star Wars saga, The Last Jedi? No reactions on Twitter about the score yet. Don't really want to read too many reactions lest someone reveals some huge spoiler. Also, is it weird we've heard next to nothing from JW about the score? TFA had, what, two separate featurettes with JW, two 60 Minutes features, a 30 minute Tavis Smiley interview, countless newspaper articles. I think the only time JW's even mentioned TLJ was that radio interview for the Spielberg/Williams collaboration, plus the infamous "I don't want anyone else scoring for Daisy!" anecdotes at his concerts. What's this music? Probably library stuff, but it does sound orchestral. Brace yourselves... The Last Jedi soundtrack will leak any day. Will you listen to it? I'm torn... I really want to, but I want to see it in the context of the film. HOWEVER, every single Star Wars movie release for me has been a musical introduction first, followed by the first viewing of the film. I reminisce about the days of listening to the TPM soundtrack over and over and how wonderful it was to see images attached to it later. For me the music has always existed on it's own, as Star Wars has kind of been like a big music video for John Williams with dialogue and SFX. What will you do when it leaks? The Last Jedi JW's The Last Jedi's Score - How "cold" are you going in? With The Last Jedi looming as the second last Star Wars score ever conceived from the mind of John Williams, that leaves few chances to decide how you first experience one. This was a hot topic with The Force Awakens, as many fans chose to discover the score and experience its new themes "cold" in cinemas for the first time. Aided by Disney's steadfast protection of the score to prevent leaks (and with less than a few minutes of score being released pre-release), this made the choice of avoiding the score far easier than the likes of Attack of the Clones (whose OST leaked weeks before release, complete with a music video). So have you decided how you'll treat his score for The Last Jedi? With less than a month until release, we've uniquely heard nothing of the score. We have no details other than a rumoured tracklist, that the Main Titles were re-recorded, but no indication of JW's direction for the score nor any new themes composed. So how much are you willing to learn before seeing the film itself?